Maximizing Your Income as a Triathlon Coach - "A presentation by coach and author Ben Greenfield entitled: Maximizing Your Income as a Triathlon Coach." Recorded live at USA Triathlon's 2010 Art & Science of Triathlon Symposium. Topics include: The tools of the trade, Maximizing time efficiency by leveraging software and web-based services, Tips for managing time, Finding Clients, Putting it all together, Business Blueprint, Additional pro-rated services, Creating multiple income streams via your website, Automated and recurring revenue, Top ten income-enhancing tips"
Ironman Training: Making Ironman a Normal Day - A presentation by 6-time Ironman World Champion Mark Allen entitled - Ironman Training: Making Ironman a Normal Day. Recorded live at USA Triathlon's 2010 Art & Science of Triathlon Symposium. Topics include: Training the mind to manage stress, Three Core Competencies of Physical training, Nutrition and Mindset, Determining Maximum Aerobic Heart Rate, Base phase training, The weekly long workout, Race week planning, Race week key workouts, Race day pacing, Race day nutrition, Race day mindset. Paratriathlon 101: An Introduction to Coaching the Physically Challenged Athlete - A presentation by coach Andy MacDonlad entitled - Paratriathlon 101: An Introduction to Coaching the Physically Challenged Athlete. 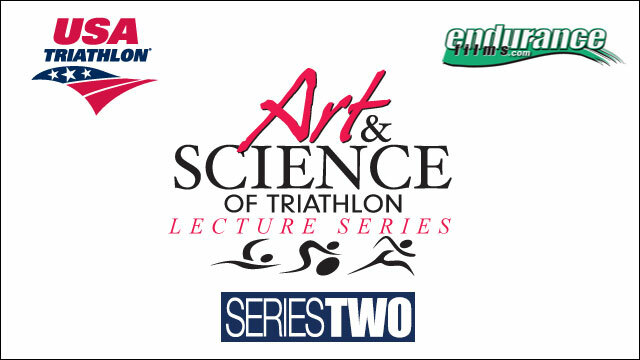 Recorded live at USA Triathlon's 2010 Art & Science of Triathlon Symposium. Topics include: Definition of a paratriathlete, Categories of paratriathlete, Paratriathlon Rules, Classification, Adaptive Equipment, Facility accessibility, Application of rules for single sport athletes, Motivating paratriathletes, Suggested resources. Following the Functional Path to Becoming a Complete Triathlete - A presentation by elite strength and performance coach Vern Gambetta entitled - Following the Functional Path to Becoming a Complete Triathlete. Recorded live at USA Triathlon's 2010 Art & Science of Triathlon Symposium. Topics include: An introduction to the Functional Path, Be like a cockroach, The Human element on the periodic table, Respecting the wisdom of the body, What is functional training? Not emphasizing one system to the exclusion of another, No one method or physical quality is an end unto itself, Each athlete is unique, Gambetta's Mission Statement, Understanding what you do and why you do it, Evaluating your "stuff," Making connections, Defining athleticism, Fundamental movement skills, Train movements not muscles, Functional exercise criteria, Simplicity yields complexity, The Serape Effect, Link & Sync toenails to fingernails, Gravity Enhancement Training, Movement + Stability = Mostability, Recoverability, Build adaptable athletic bodies, Q&A. Female Triathlete Nutrition - A presentation by Alicia Kendig, CSSD entitled - Female Triathlete Nutrition. Recorded live at USA Triathlon's 2010 Art & Science of Triathlon Symposium. Topics include: Function of energy from food, Requirements for optimal performance, General trends of female endurance athletes,Looking at the Female Athlete Triad, Energy availability, Insufficient intake vs. eating disorder, Causes of menstrual disfunction, Menstrual status - clinical definitions, Looking at a normal menstrual cycle, Energy availability and the menstrual cycle, Effect of low hormone levels on bone formation, Factors of Bone Mineral Density (BMD), Fighting low BMD, How to monitor BMD, Nutrients that most contribute to low energy availability, Putting it all together, Key to success, Carbohydrate needs, Protein needs, Dietary fat needs, Micronutrient needs, Risk factors of sub-optimal nutrition, Approaches to work with female athletes about nutrition, Optimization via prevention. Youth Triathlon: Coaching, Racing, Program Development - "A panel discussion entitled - Youth Triathlon: Coaching, Racing, Program Development. Featuring J.J. Johnson, Penni Bengston and Boris Robinson. Recorded live at USA Triathlon's 2010 Art & Science of Triathlon Symposium. Topics include:Youth camps and clinics, Youth race development, Other youth event opportunities, Sponsorship considerations, Volunteers, Wrangling parents, Handling emergencies, Logistics of adult event combined with youth event, Johnson's experiences as a race director, SuperKid Triathlon, Safety, Youth recommended distances, Youth elite and Junior races, Future of youth participation, Q&A. 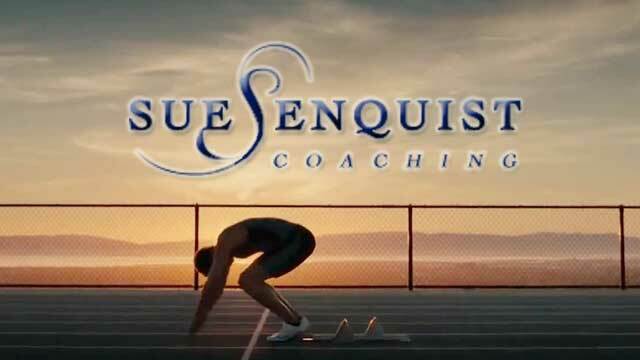 Tips & Tools for Coaching Excellence - In this compelling keynote presentation from USA Triathlon's 2010 Art & Science of Triathlon Symposium, 11-Time NCAA Champion Softball Coach, Sue Enquist talks about Tips & Tools for Coaching Excellence.